The gear that lends an adventurous and well-travelled life Gino De Vinci Cervo 59cm Purposefully constructed from lightweight polycarbonate to make travelling a smooth and tension free experience, this bag is your in-between size making it perfect for a week long business trip or summer vacation, features an embossed scratch-resistance shell that ensures stored items stay intact even after rough and tumble travel conditions. 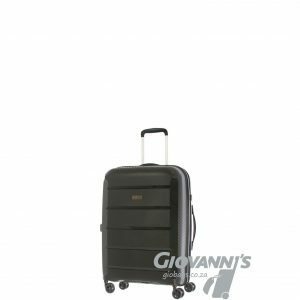 For consistency and ease of organization, the bag is inwardly strapped with an elastic belt that keeps the arranged loads in their form, while your journey lasts. 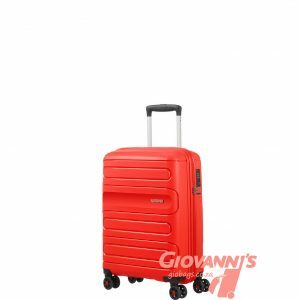 To increase on sufficiency, this trolley luggage comes with a zipper divider that creates two separate Interior compartments for extra packing space. 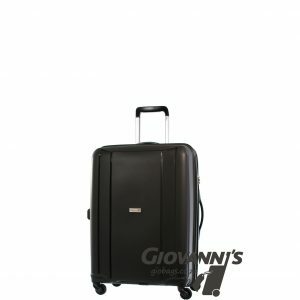 Its telescopic handle and multi-directional spinning wheels enhance manoeuvre-ability. 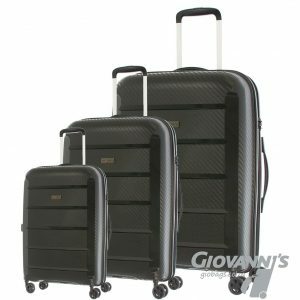 Carrying is also made easier with the presence of top and side carry handles that enable you gallivant in places that are not tire friendly. 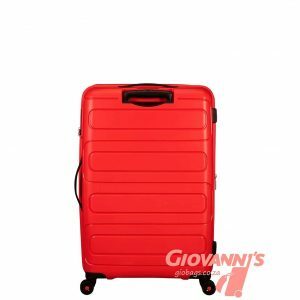 Material: Constructed with a durable hard shell which maintains a good balance between lightweight and firmness, this trolley luggage is characterized by heat, scratch and pressure resistance and water resistant.